Home / T-Shirt / Bacon: it’s bad for you, it tastes fantastic, any questions? 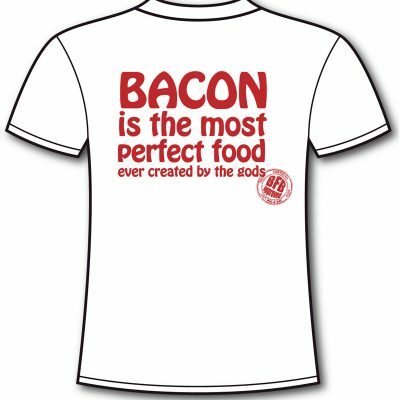 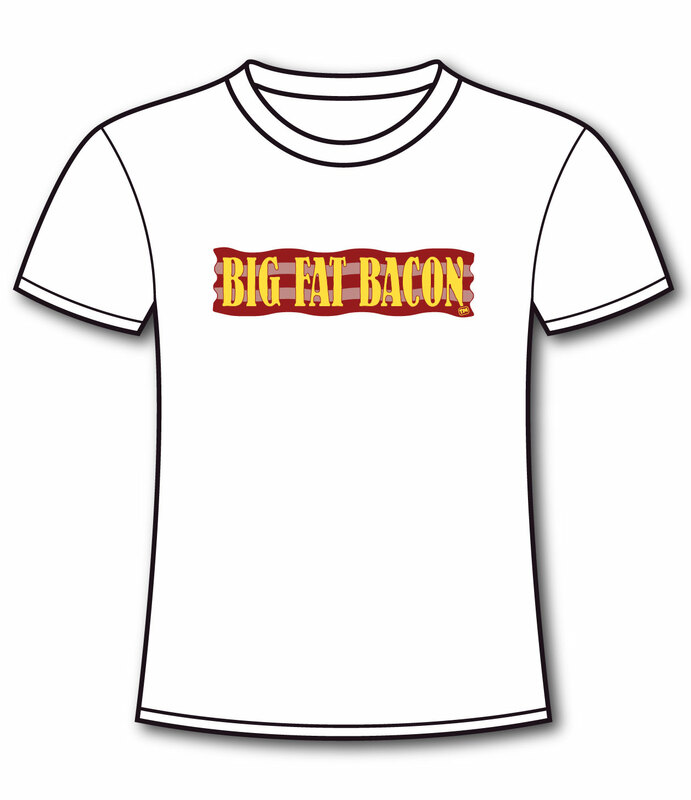 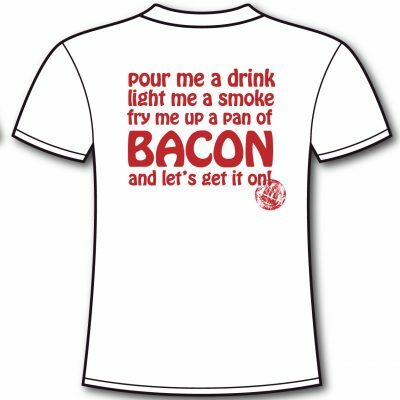 Big Fat Bacon t-shirts are made of 100% pre-shrunk cotton and come in sizes ranging from Small to XXL. 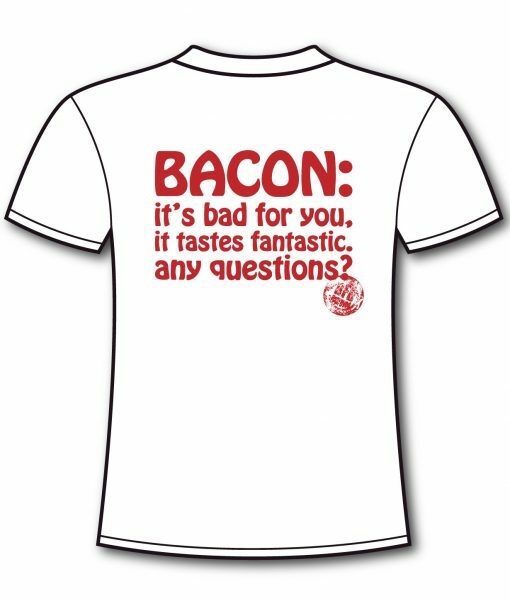 ADULT SIZES: $20 ea. 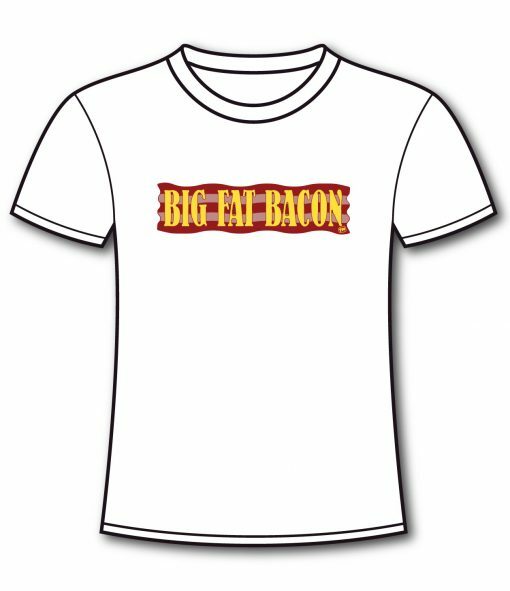 KIDS’ SIZES: coming soon!